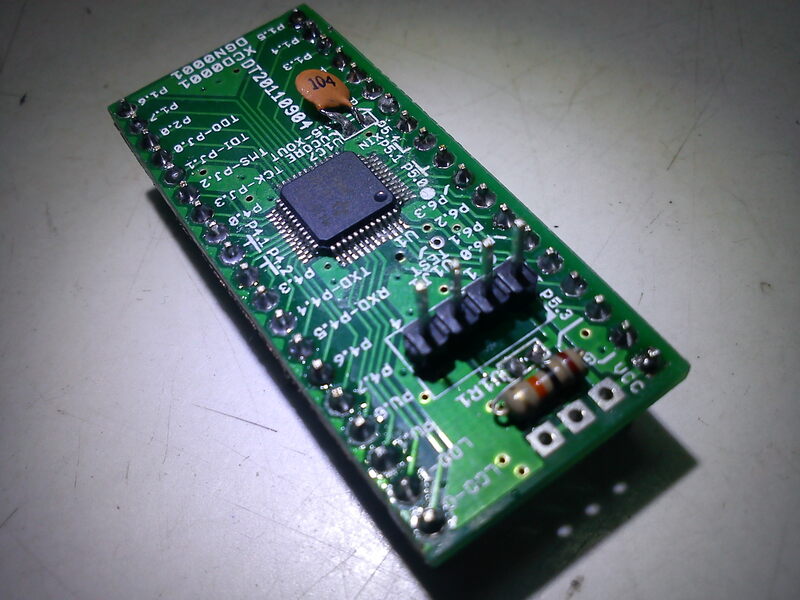 Quite a while back, I got a FreePCB Coupon from Dangerous Prototypes. It took me a while (2 weeks to be precise ) to figure out what exactly what i might be able to build based on the limited inventory I possess. Finally, i found this gem in their FreePCB Drawer. 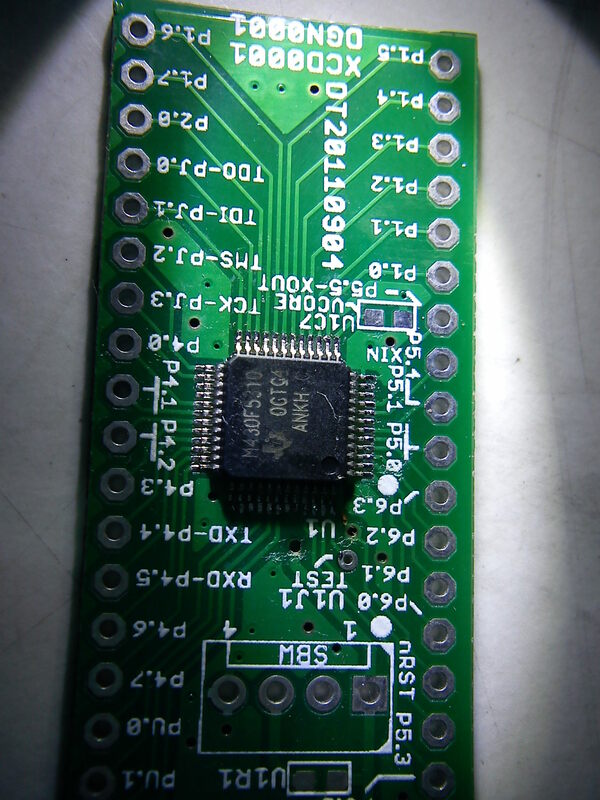 It was a MSP430F5310 breakout board. I have been lately trying to learn to use MSP430. So, it would be a great pick. 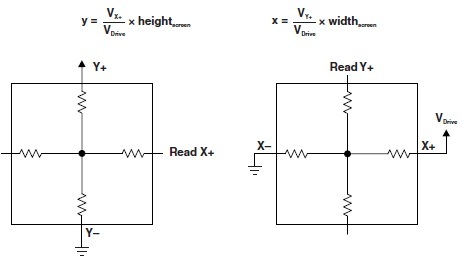 Also the IC can be sampled from TI and all other components were passives. Plus it had quite a few other breakouts panelled together which maybe an SD Card breakout etc. I went to the blog mentioned, to find out these were originally picked up from India 😀 World is a small place..But unfortunately coudn`t find the link to the git which i found later after a random search on DP. This is the article and the comment by Boseji to his git repo for the project that was extremely useful in building it! So, finally i ordered it and after a few weeks i received a mail(package) from Ian from dangerous prototypes in my mailbox. 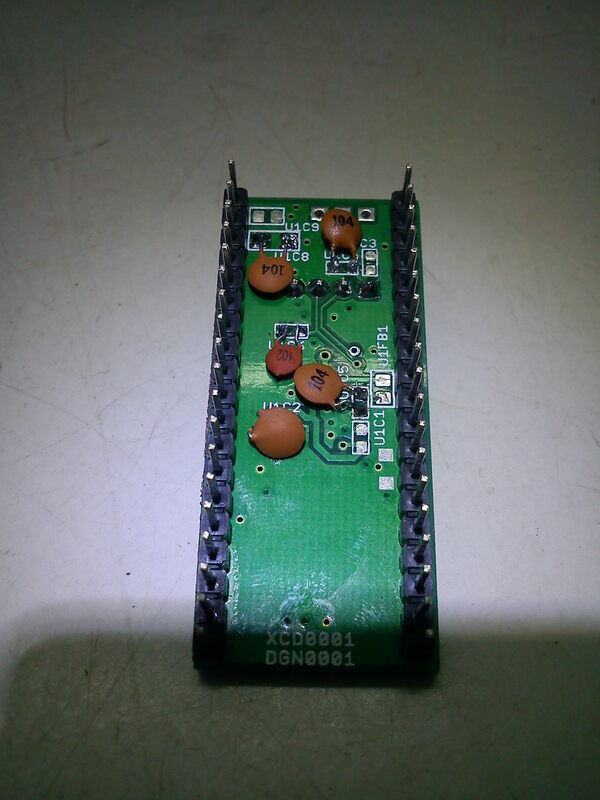 It was a very beautiful PCB with a green solder mask, white silkscreen and all pads tinned. It seemed to be 1.6mm FR4.. Beauty!! 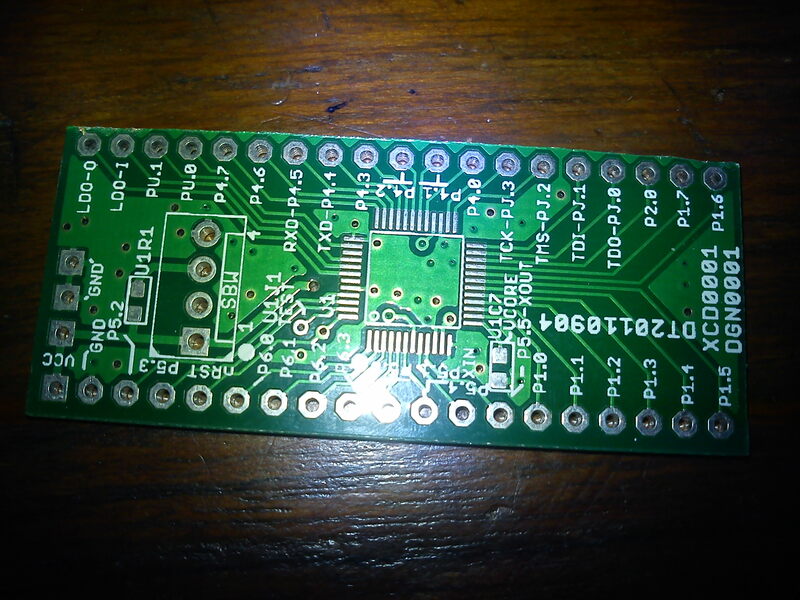 It was furnished by Seeedstudio`s Fusion PCB service. I then quickly sawed away the unwanted parts and filed the edges with a Dremel to extract my share out of the bounty! 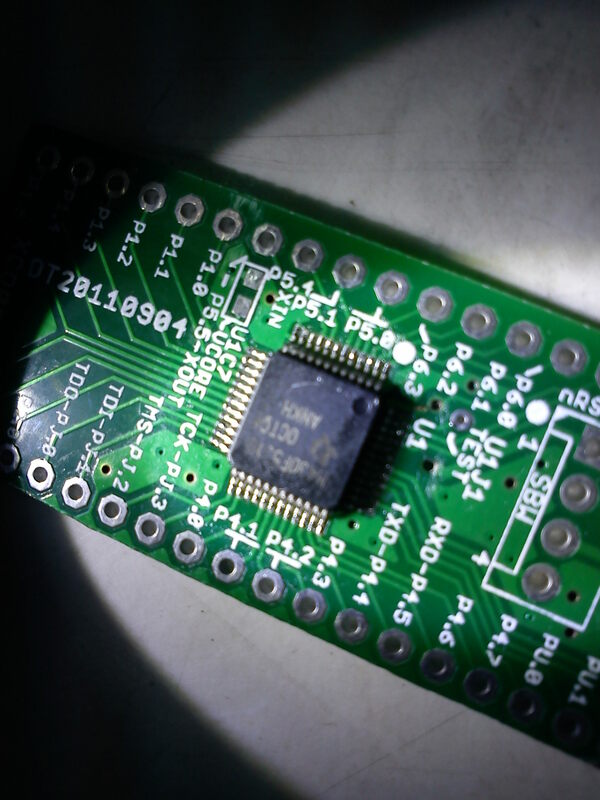 Now, came another trouble, NO SMD COMPONENTS FOUND !! The local dealers wont sell me small qty of caps or resistors! What am I gonna do with 5000 Reel and that too of the same value? (Although a bit later after completing the board somebody told me about another dealer selling them in quantities of 100 at a 10X cost) . Battling the question for a few days i found out a neat trick to bend the through hole resistors to get them to fit on the pad, the same goes for the caps! Here is the Youtube video of the blink demo running on it! 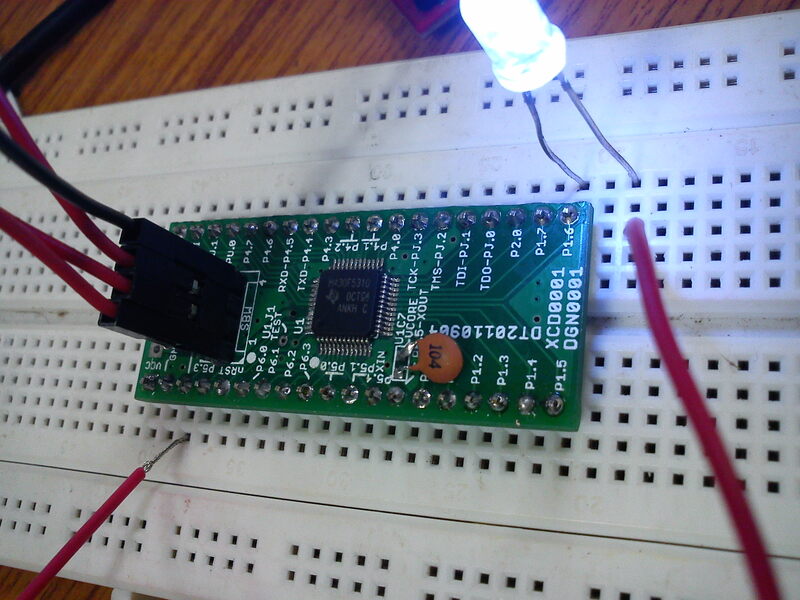 The board was programmed using SBW protocol using Launchpad as a SBW Programmer! Thanks Dangerous Prototypes for sending this through.. It was a really nice experience building one!